Hannukah is the main feature of the month. Although sometimes, the eight-day holiday actually begins in November, we usually get to enjoy most of it at the beginning of December. With kids being off from schools, you'll usually find a whole array of activities for children during the eight days of the holiday. They run the gamut from hands-on crafts festivals to activities at the mall, puppet shows and concerts. The same is true for adults - there's usually a bewildering choice of new family activities or concerts for grownups being offered all over town. Christmas in Israel, on the other hand, is a more introspective, subdued affair than in the rest of the world. And in addition to the holidays, there are several cultural Jerusalem events that highlight December year after year. For an up-to-date listing of daily Jerusalem events happening in December, or to sync the details of a particular event to your own mobile calendar, please check here. Click here for other recurring annual Jerusalem Entertainment events. This is one of the highlights of this time of year. 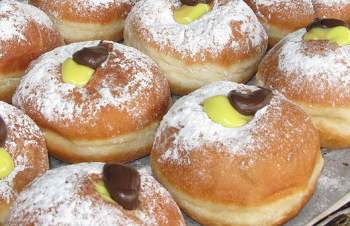 Chanukah in Israel has its own special flavor and scents: You know Chanukah is around the corner when you start seeing and smelling the trays of fresh doughnuts in the shops. (Bake your own taste of Chanukah with our Israeli baked doughnut recipe here.) They're called sufganiyot over here and you won't find them at any other time of year, so grab one while you can! Stroll through the religious neighborhoods of Geula and Meah Shearim and you’ll see menorahs, oil lamps, candles and wicks galore. 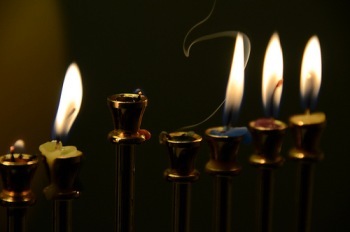 The preferred tradition in Jerusalem is to light oil lights rather than candles. In addition, Israelis are particular is referring to what we call a “menorah” as a “chanukiah” – an eight-day Chanukah lamp. They reserve the word “menorah” for the seven-branched menorah that stood in the Temple, of which you can see a real-sized model in the Old City by the Temple Institute. Another Israeli tradition that makes the holiday special is to light the chanukiah outside, in order to better publicize the holiday’s miracles. This means that many families place theirs in the street, in glass boxes. Others light them on their windowsills, so that even if they light inside, the ligths will be visible from the street. There are also many Jerusalem events and holiday-themed activities for kids, such free shows for kids at Malha Mall and a variety of activities, arts and crafts, science workshops and performances at the Bible Lands Museum, the Bloomfield Science Museum and the Israel Museum. There’s more of the same for kids plus a lot more for adults at the Mamilla Mall, along with an exhibit of menorahs along the pedestrian mall. This year, Hannukah runs from sundown December 2 (first night candle-lighting) through December 10, 2018. 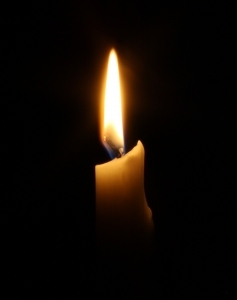 Public Candle Lighting Ceremonies: You can join the crowds for festive public candle lighting ceremonies at various point around the city, including Nahalat Shiva Street, Kikar Safra and at Mamilla Mall. These usually take place between 5:00 and 7:00 p.m. except on Fridays, and later on Saturday nights. We'll post exact times as they are made available. We always highly recommend Jerusalem Scavenger Hunts as one of the more intriguing and creative Jerusalem events. At Hannukah time, they're extra special. 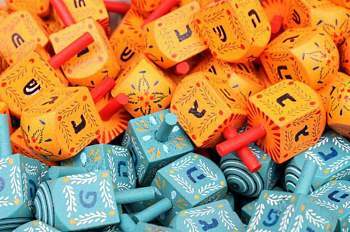 Experience Chanukah in Israel like you never have before. By the Hannukah lights, you'll explore the streets, see the sights, hear the stories and feel the vibe of Jerusalem's picturesque neighborhoods. Book these early, especially the jeep tours, while there are still places available! 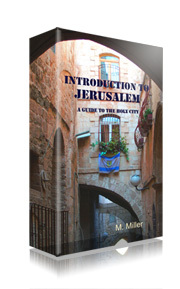 See Jerusalem through a different lens. This Hannukah, take a special guided walk for photographers through Jerusalem’s side streets. The walk is for both amateur photography enthusiasts and professionals. The small group size and slow pace allow you time to set up and really get those special shots. Suitable for children over age 10 with camera. Advance booking required. Please use the form below to pre-register or to request additional details.